These Chocolate Covered Pretzels Pumpkins are the perfect Halloween party food. They’re quick and easy to make and oh, so cute! 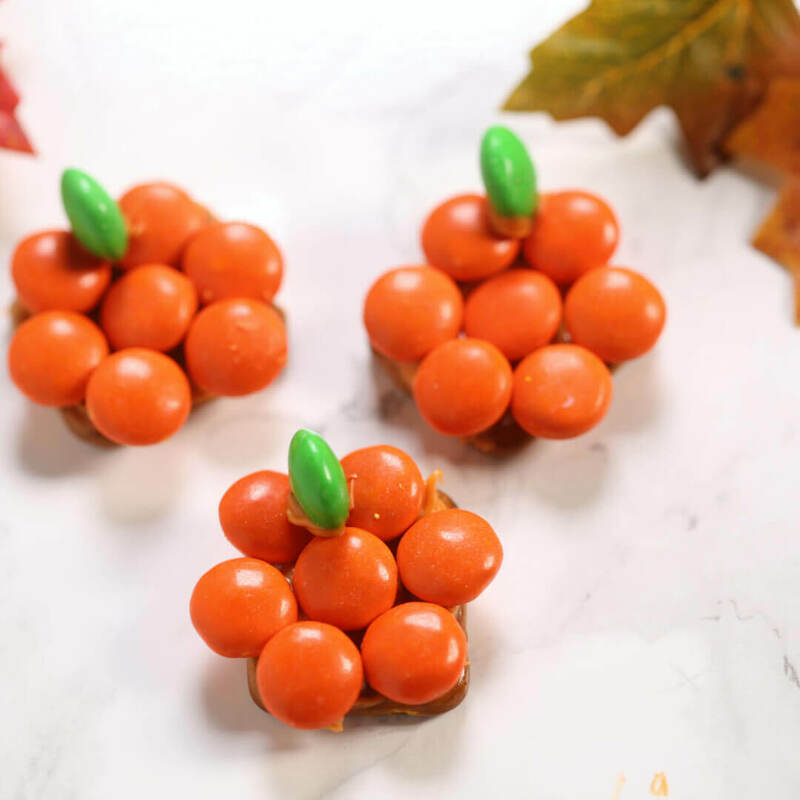 These easy Chocolate Covered Pretzels Pumpkins are so simple and adorable. They are the perfect addition to your Halloween party snacks. 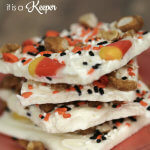 With only a few simple ingredients and about 30 minutes, you can whip up a bunch of these Halloween snacks. 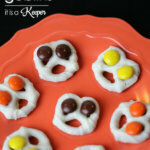 These taste just like a chocolate covered pretzels recipe.
. 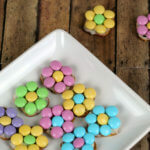 Even though they aren’t round in shape, you can easily give the illusion of a round shape with the candies on top. 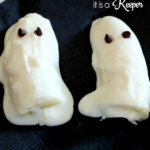 This is one of my favorite Halloween snack recipes because it’s so easy to make. Simply melt the chocolate candy melts following the directions on the package. Then dip the pretzel in the chocolate and top with orange and green candies. Allow them to dry before packaging them. 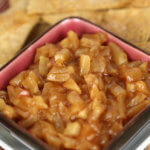 Here are some expert tips and ways you can mix up this recipe to suit your needs. Only dip one side of the pretzel in the chocolate. You don’t want to cover the entire pretzel. Swap out the candy melts and use peanut butter instead. I just love the chocolate peanut butter combo. 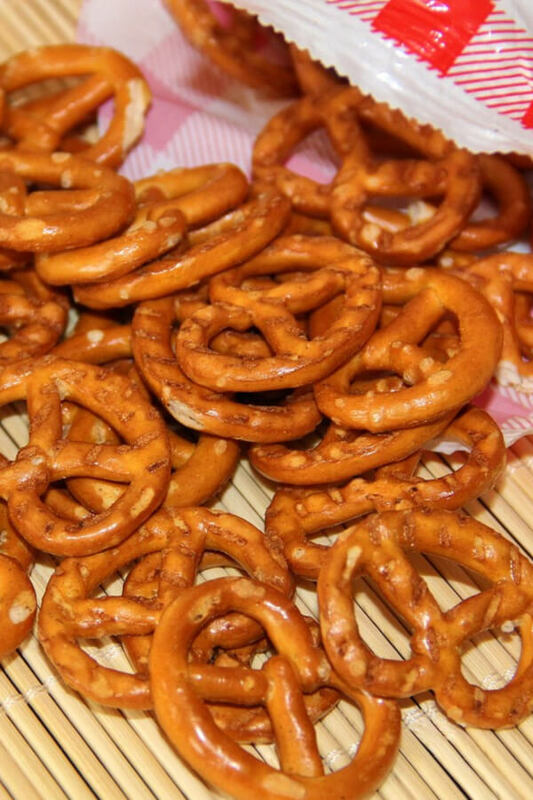 If you can’t find the square pretzels, you can use small regular pretzels, however you will have to make sure the entire pretzel has a chocolate base. 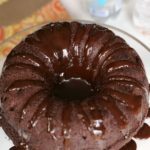 : Melting chocolate is super easy with this handy tool! : Allow your candies to dry on these. : These help me carefully place the candies so my fingers aren’t in the way. These Chocolate Covered Pretzels Pumpkins are the perfect Halloween party food. They're quick and easy to make and oh, so cute! Dip one side of the pretzel into the chocolate so that it has a thick coating. Immediately place 7 orange M&Ms in a circle around the pretzel with one candy in the center. 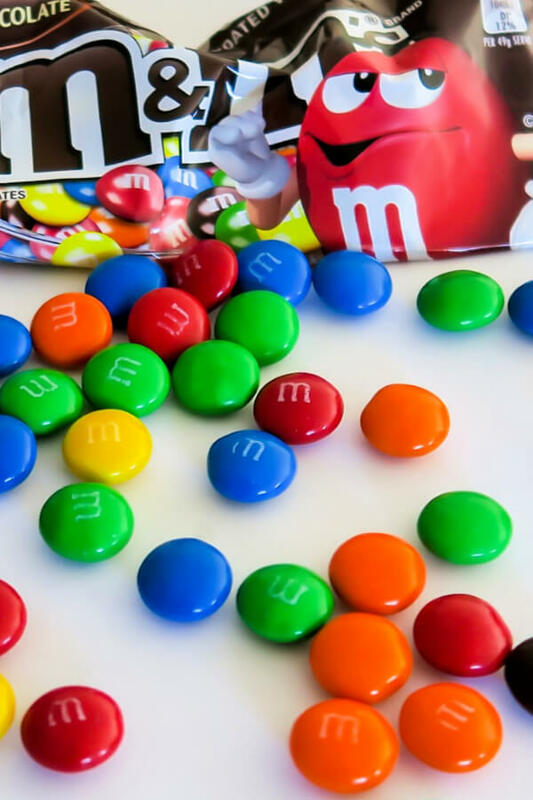 Place a small amount of chocolate between two orange M&M's and stand up one green M&M on its edge to form the stem. Allow chocolate to harden for at least one hour before packaging. 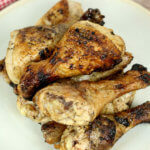 You can’t go wrong with this recipe. They are so cute. LOVE these! 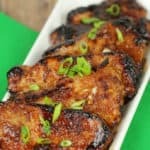 I am always looking for last minute holiday recipes and these are perfect for that (I’m using these for Thanksgiving, as well). PLUS! Chocolate and salty pretzels together… YUM! You had me at chocolate! 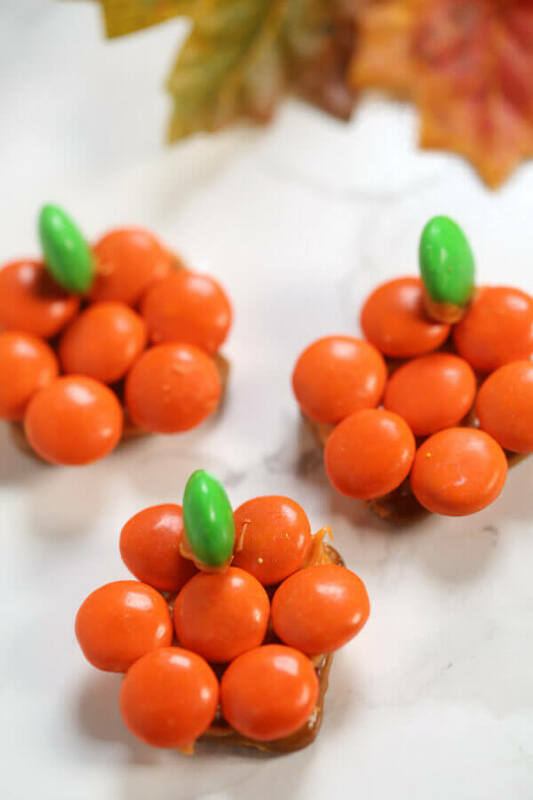 These are so cute and a perfect fall treat so easy that my kids can help make them! Thanks for the idea! Such a fun fall party idea! And I love how easy they are too. This is so cute and creative! 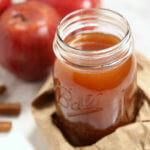 I am always looking for recipes that my little kitchen helper can manage and she will LOVE this! Thank you! 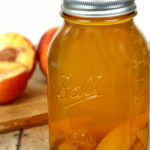 My kids are asking to make these. Since today is a holiday from school, we are going to do them this afternoon! Let’s see if they eat more than they save.